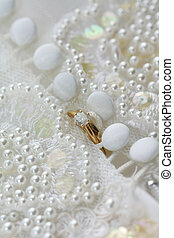 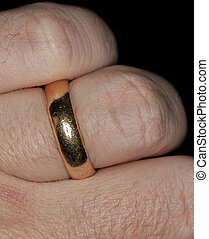 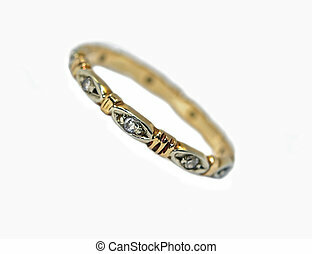 Antique diamond wedding ring and band on finger macro close up. 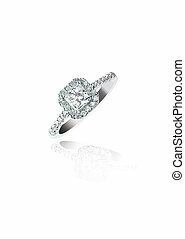 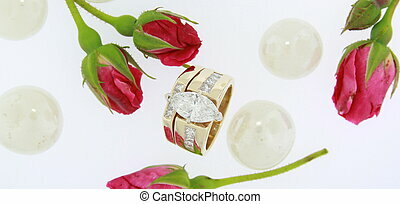 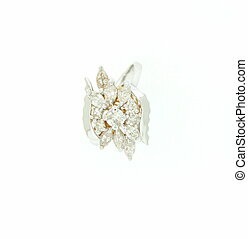 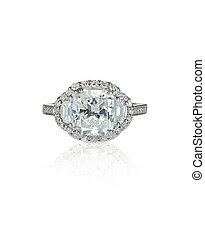 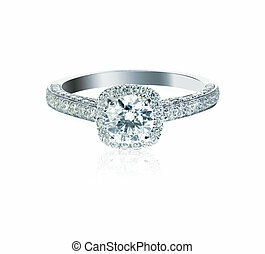 Large diamond setting multi stone diamond ring isolated on white. 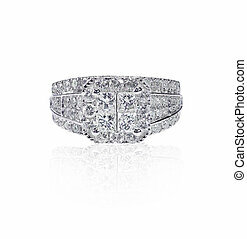 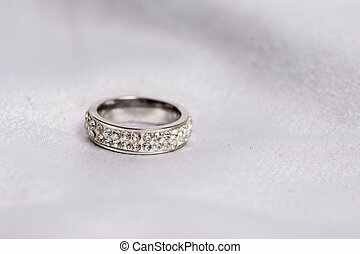 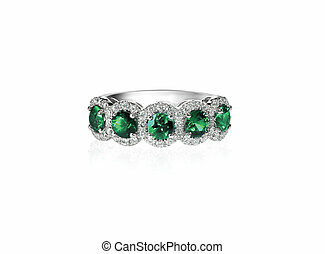 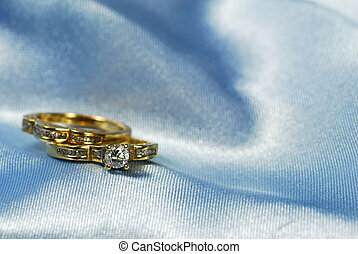 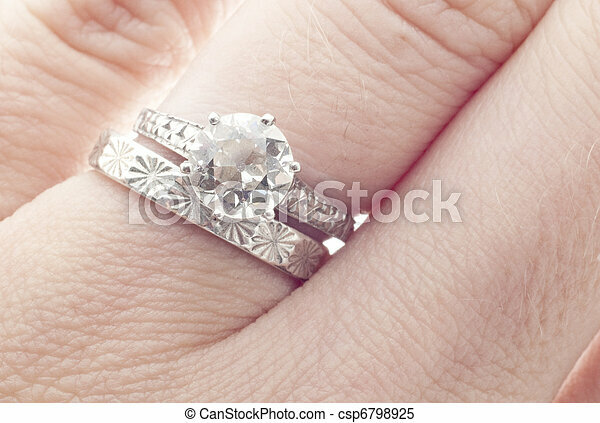 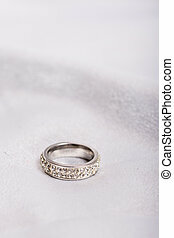 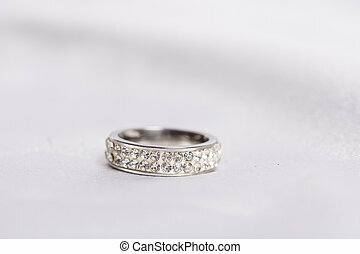 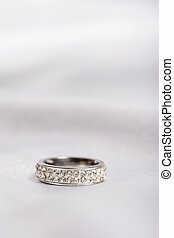 A diamond wedding band on white background.